I get a lot of emails asking “how did you do it”? As if there’s a secret pill or machine to the weight loss. My little secret isn’t ever going to be what you want to hear, it takes hard work and dedication. 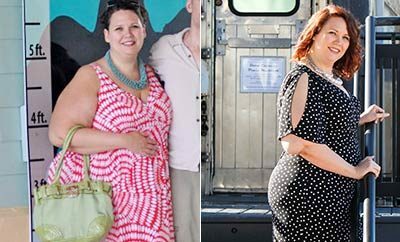 The secret is you can’t want to loose weight for vanity, because you’ll get dicouraged when you don’t drop the weight right away. You have to want it bad enough. I was to the point that I couldn’t sleep, I felt like I was suffocating. I was too young to be this miserable. 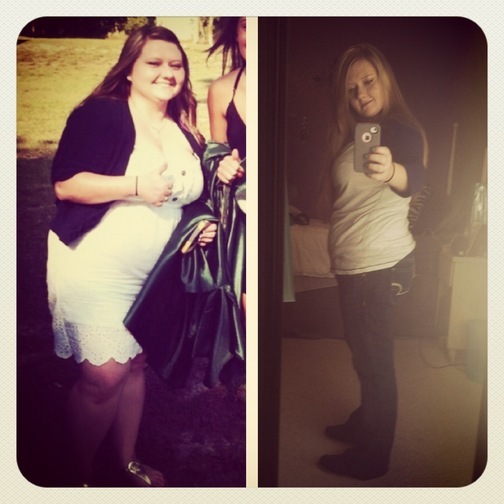 August 1, 2012 I made the choice to simply start eating clean and exercising, without starving myself. Now only five months later I’ve lost 33 pounds! I started out in a size 19 and I’m in a size 10 right now!